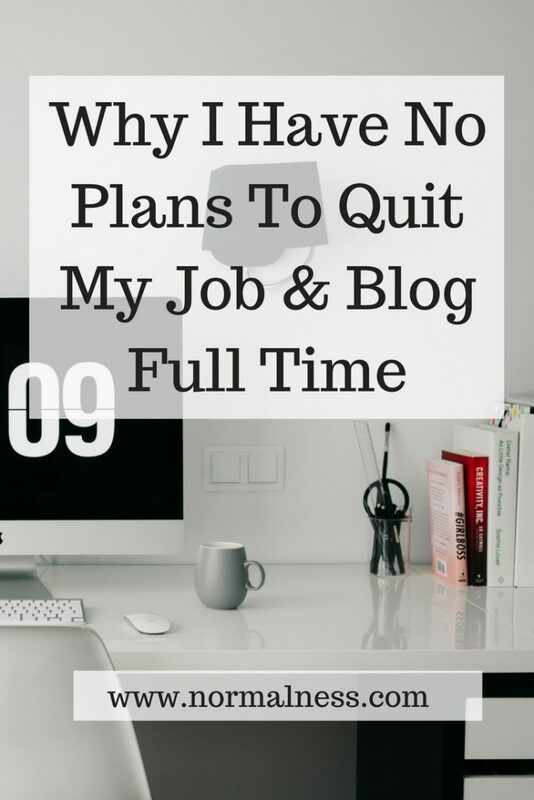 So why don’t I want to quit my job & blog full time? The main reason is fairly personal in that I’m the sole income earner for my household and a carer. I need a stable income. And the most immediate form of stable income is still a job, above all else. I am not a fan of something I’ve seen recommended around the internet in some circles. The people who call you trapped by a day job, who say quit because then you “have” to make it work. When I’ve seen a business owner do that, you can see the desperation in their sales. They sell more than they give value. And I honestly doubt it works for most people. The other thing I think about a lot is pricing of the courses and books and services. While I want to make money from this website, I also don’t think there is a lot of success in pricing myself out of the market. It’s why I launched Contentum Creatio as pay what you want (usually $75), it’s why I have my Time Management for bloggers eBook at an affordable $7. Note: While I transition Bloggers and Bacon content over here to NormalNess, BOTH my eCourse and eBook above are pay what you want again!! Staying IN a different also industry helps to keep you aware of the prevailing attitudes and limitations and challenges of your possible clients. None of what I do in day jobs has to do with blogging, writing or social media. And I like that, in a way. It lets me know what people outside of blogging think. It lets me be distracted from blogging, and that’s often when I get most ideas. The other year, I was working only part time and I technically had days free each week to blog. And you know what happened? I did LESS blogging. I get a heap more blogging done now that I work full time, even being out of the house 11-12 hours per day. I think that for me, having a limited time makes me more productive, as well as the above part of having more ideas. It’s not what some “experts” will sell you as the ideal blogging life, but it is what works for me. And that’s what counts. 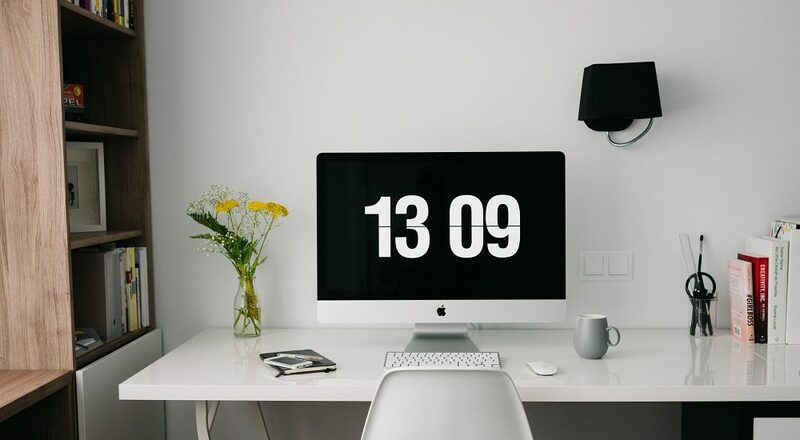 Do you want to blog full time? That’s certainly what I’ve found – the more I “have to”, less I do. i love blogging but I’m definitely right there with you. I don’t think I’d want to have to worry about making money from it. I want to keep it being fun! There’s so much work that goes into making money on a blog that I’ve never been sure that eg the amount for a sponsored post is worth the immense back and forth to get it “approved”. I used to think that I would love to blog full time but then I realised I just want to do it for the love of it – when I feel like it. It’s the freedom aspect that makes it my favourite creative outlet. I don’t mind if I pick up work for blogs/sites other than my own – writing for money is the best ever – but I don’t think I’ll ever commercialise my personal web space (in saying that – I’d seriously consider amazing opportunities if they ever presented themselves – I just want to be selective and not rely on it for all of my livelihood). The extras that come with doing something you love are a great perk. Too much pressure for me in the concept of blogging full time and every day looking for more ways to make money. Yes my blog is ‘monetised’ (dreadful word) but it isn’t my major financial focus in life. And I agree that having outside interests (work or other) actually feeds the blog post machine in a way which is much more meaningful. Oh and so much less hype! It is an awkward word, isn’t it? The other parts of your life feed blogging much better than blogging being the main thing. I don’t know how full time bloggers do it but I know being full time would not suit me. Great question and like you, not for me. Got too many financial responsibilities and my goals for my blog are non financial. I’m not in it to build a brand, extend my reach or to transition to some kind of professional role as a writer. You are right, I think we all need to find our own niche and purpose in blogging. I’m happy where I am. That you have found your happy place in blogging makes me happy too! I don’t think many really find it sometimes. I love blogging on my own terms – I don’t have to sell my soul and I don’t have to depend on others to make an income. I work part-time and that gets me out into the big wide world and interacting with people – I blog at home because I like to write and I’m not going to turn it into a sales pitch for products I’m not interested in so I can make a buck here or there. So, no, I’ll never blog full-time. Sounds like you have a great balance going on. I’m not really sure if I could ” handle ” blogging full time… I love my part time job and I love the people that I have worked with for many years! What I do want is to travel with my kids a lot more! I’m always amazed at full time travel bloggers – it’s so much content they create. Oddly enough I get most curious about how they manage the quantity of photos and videos haha. Very thought-provoking and at the tail end of the Pro Blogger weekend. I went to PB once. I never could see how I could make money from my blog unless I was prepared to write content that was not really in ‘my voice’ or compromise my education experience for the sake of a sponsored post or three. For a very short while I did have sponsorship and wrote one or two posts and used social media to promote the product but I never felt comfortable with it. I also think (tell me if I am wrong) is that the reason the big OS bloggers make $$ is they have products advertised where they receive commission. I have great admiration for the Australian bloggers I know who have made their blogs their business because they work hard, consistently but never lose their voice which is part of the appeal I think for me. Thank you for linking up for #lifethisweek 29/52. Next week: Birth Order. Haha I scheduled this (originally from my blogging blog) way before I remembered Problogger was on this year. But as much as I’ve loved the problogger conferences I’ve attended in recent years, I felt like they were moving away from accepting people who only made ad-hoc money or no money. Which I get, is in line with their name, but also, it’s actually NOT many bloggers. I don’t know. It seems to be a contradictory state which is why I chose not to go this year. Having said that, I loved last years conference, one of the best I’ve been to! The big bloggers make money in a lot of ways, but many of them do use affiliate marketing. I’ve always looked at that and thought that it was an obscene amount of work for pennies on someone else’s purchase. I’ve never done much sponsored work; not because I’m against it but because 99.99% of what I’ve been offered is just not relevant for me (aka one day PRs will stop assuming all female bloggers have 2 year olds).